b. 28 Apr. 1756, 1st s. of Thomas Pelham and bro. of Hon. Henry Pelham. educ. Westminster 1766; Clare Hall, Camb. 1773; Grand Tour (Spain, France, Italy, Germany, Austria) 1775-8. m. 16 July 1801, Lady Mary Henrietta Juliana Osborne, da. of Francis, 5th Duke of Leeds, 3s. 3da. summ. to Lords in his fa’s barony as Lord Pelham June 1801; suc. fa. 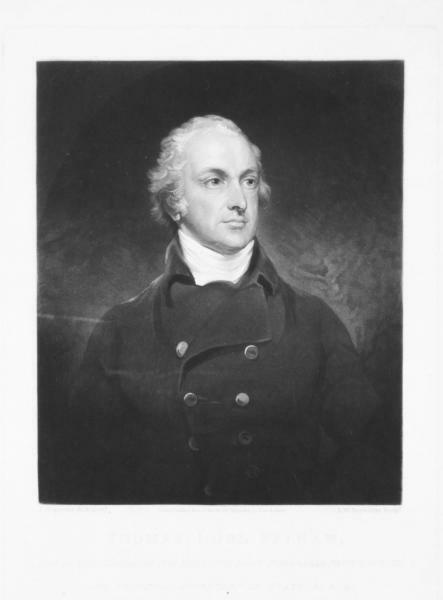 as 2nd Earl of Chichester 8 Jan. 1805. Surveyor gen. of the Ordnance Apr. 1782-Apr. 1783; chief sec. to ld. lt. [I] Aug. 1783-Jan. 1784, 1795-8; P.C. 11 Mar. 1795; commr. of Board of Control 1801; Home sec. 1801-3; chancellor of the duchy of Lancaster 1803-4; capt. of yeoman of the guard 1804; postmaster gen. 1807- d.
In 1780 Pelham stood for Sussex on his family interest ‘unconnected with anybody’, and was returned unopposed. He sits in Parliament now for the first time [wrote the English Chronicle], and though very young, is yet remarkably accomplished, and has excited the highest expectations. It is doubtful which way he will give his vote in Parliament ... His father is the friend of Administration ... but the opinions of his constituents wear a contrary complexion. The majority of freeholders in Sussex are strongly patriotic, and whether this young legislator will esteem himself more bound by gratitude for the indulgencies exercised towards his father, or by a just obedience to the predominant wish of his electors, is yet undecided. He possesses endowments that will ornament either side of the question. Before coming into Parliament he had written to his father, 13 Dec. 1779: ‘After three or four years endeavours to like Lord North, I cannot help considering him as a most abominable minister.’ Yet he seems from the first to have counted as an Administration supporter, though he voted with Opposition on the ‘popular’ question of economical reform, 26 Feb. 1781. He wrote revealingly to his father, 8 Aug. 1781: ‘I am sure that with a very large nominal estate you must at present feel a dependence on your emoluments from Government, and that the least turn in affairs would make your situation very uncomfortable.’1 Thus while he voted against the American war, (12 Dec. 1781, 22, and 27 Feb. 1782), he voted with the Administration on the censure motions of 8 and 15 Mar. 1782. I sincerely wish that I had not office, and certainly should not accept of one at this moment, but being in office, however unconsiderable, I think myself bound to wait a little while before I desert a ministry who profess the same intentions, though some of the persons who comprise the Cabinet are altered. When William Windham on grounds of ill-health vacated the post of secretary to Lord Northington, lord lieutenant of Ireland, he wrote to Northington, 27 July 1783, that he believed Pelham would like the situation: ‘he would in every respect be perfectly proper for it, and as a man of engaging gentleman-like manners and pleasant temper in one of ten thousand ... I can hardly conceive a man who merits so many recommendations.’ And again, on 5 Aug.: ‘Pelham has some objections for which one was not at all prepared ... grounded on declarations he has made and language he has held relative to the Coalition: professing at the same time to have no objection to the Coalition now.’ After strong representations from the Duke of Portland, Pelham accepted. Windham wrote to Northington, 26 Aug.: ‘The more I see of Pelham, the more I am satisfied with his being my successor. He seems to set about his business in a composed methodical manner, to apply his mind readily to the work, to form very good judgment, and to be perfectly vigilant and discreet.’3 And Fox wrote, 11 Nov.: ‘I congratulate you upon the excellent accounts I hear of Pelham from all quarters.’4 After the dismissal of the Coalition and the formation of Pitt’s ministry, Pelham wrote to Northington: ‘I rather think we should resign ... but I really think we should not be justified in insisting on an immediate recall.’5 Like other Coalition supporters, he was convinced that the new ministry could not survive, and wished to prevent there being ‘three lord lieutenants with consequent expenses in less than a month’. He favoured a union of parties, and wrote to his father after the St. Alban’s Tavern meeting, January 1784: ‘I am not without hope of their forming a union.’6 On the failure of these attempts Pelham became an active member of the Opposition. I knew I was not sufficiently in the habits of speaking to be sure of succeeding according to my wishes ... I found that when I was on my legs that half the arguments that I possessed in my own room forsook me in the House of Commons, if therefore fame as an orator had been my object I should be much disappointed. 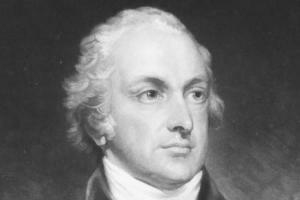 And Sir Gilbert Elliot commented on the speech: ‘He certainly performs very flatly, but had the recommendation of evident timidity and modesty, which added to good sense and good intention carried him through.’8 He also made a number of speeches on Ireland; the French treaty, February 1787; and in favour of the abolition of the slave trade. During the Regency crisis, when the Opposition were convinced that they would shortly be back in power, it was agreed that Pelham should return to Ireland as secretary to the lord lieutenant, and he himself seems to have been anxious to do so. Pelham seems to have been generally liked and respected. Gilbert Elliot wrote of him:9 ‘I never saw anybody less thoughtful of himself ... or more anxious for his friends.’ After his death, 4 July 1826, the Gentleman’s Magazine described him as ‘honoured, respected, admired, and beloved’, and wrote of him in terms striking even for the time. 1. Add. 33128, ff. 47, 57; 35379, ff. 322-3; 33128, ff. 83-84. 2. Add. 33128, ff. 82, 83-86, 108-9. 3. Add. 33100, ff. 220, 246, 290. 4. Corresp. C. J. Fox, ii. 171. 5. Add. 33100, f. 528. 6. Add. 33218, f. 358. 8. Life and Letters, i. 132.